RoseAnn C. Branda is an Executive Partner and Co-Director of the Family and Matrimonial Law department at Abrams, Fensterman, Fensterman, Eisman, Formato, Ferrara, Wolf & Carone, LLP. Ms. Branda graduated Brooklyn Law School in 1984, a member of the Moot Court Honor Society. Following admission to the Bar, she began her career at the law firm of Caruso & Caruso, P.C., quickly gaining recognition for her advocacy and legal skills. In 1992, she became a Partner in the law firm of Caruso, Caruso & Branda, P.C. In 2014, Ms. Branda was appointed to serve as a member of the Matrimonial Practice Advisory and Rules Committee by then Chief Administrative Judge of the State of New York, the Honorable A. Gail Prudenti. She was also appointed by both Judge Prudenti and the Hon. Randall T. Eng, Presiding Justice of the Appellate Division, Second Judicial Department and still serves as the Chair of the Independent Judicial Election Qualification Commission for the Second and Thirteenth Judicial Districts. 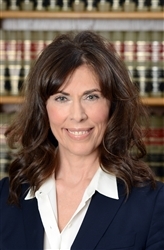 She is a member of the Committee on Character and Fitness for the Second, Tenth, Eleventh and Thirteenth Judicial Districts and also serves as a member of the Judicial Hearing Officer Selection Advisory Committee for the Second, Eleventh and Thirteenth Judicial Districts. From 1997 to 2005 Ms. Branda served as a member of the Grievance Committee for the Second and Eleventh Judicial Districts. Recognized as well for her ethics, professionalism and integrity, Ms. Branda chaired the New York State Bar Association’s Committee on Attorney Professionalism from 2008 to 2010. Ms. Branda proudly held the office of President for the Brooklyn Bar Association as well as the Bay Ridge Lawyers Association. She also served as the President of the Columbian Lawyers Association of Brooklyn. Ms. Branda has chaired the Family Law Section of the Brooklyn Bar Association and has also served on the New York State Bar Executive Committee for the Family Law Section as a representative of the Second District. Ms. Branda’s hard work and commitment to both her clients and practice is second to none, she mirrors the true image of a consummate legal advocate. She has been consistently recognized by her peers, clients and the community at large for her talent, ethics and passion within the field of matrimonial law, having been designated as a New York Super Lawyer every year since 2008 and more recently recognized as one of New York’s Women Leaders in the Law for 2016. She has earned one of the most prestigious distinctions in the country from Martindale- Hubbell where she was named a Top Rated New York Women Leader for Ethical Standards and Legal Ability. Brooklyn Law School, Brooklyn, New York- J.D. Wagner College, Staten Island, NY – B.A. Brooklyn Savvy: You're contemplating a divorce, but you really don't know what you're about to face? Take a listen to Roseann Branda who will give you her expert advice that can help you as you wrestle with this decision. Click here for the interview.